How Can I Prove My Uncle Is Misusing His Power of Attorney? A power of attorney allows one person, the principal, to give authority to another person, the agent, to act on her behalf. The principal gives the authority in writing and on a document known as the power of attorney. An agent is supposed to follow the principal's directions, act in good faith and not overstep the authority the principal gives him. If your uncle is misusing his power of attorney and hurting the principal, you'll need to determine what powers he has and review your state's laws to prove it. A principal may give an agent general or limited powers. An agent with limited powers may only do what the power of attorney document allows. For example, if the document limits the powers to activities necessary to complete the sale of a specific house, the agent can only do those sale activities, such as signing a deed. A general power of attorney gives the agent broader powers. He might have the power to complete all the principal's real estate transactions. State laws vary on what general powers an agent can receive without an express written statement in the document. For example, in Colorado, an agent can't give gifts for the principal unless the power of attorney specifically states he has gift-giving authority. Abuse of a power attorney occurs when the agent is using his authority beyond what the power of attorney allows or doing something that's not in the principal's best interest. If the agent, for instance, sells the principal's home using the power of attorney and then uses the proceeds for himself, he's abusing his authority. An agent has a legal duty to act in good faith and with due diligence, treating the principal's assets as he would his own while keeping in mind the assets belong to the principal. The court will generally look to the power of attorney's provisions and state laws to determine whether abuse occurred. Some states presume undue influence on the principal if the agent is in a position of power over the principal, such as her caregiver. If you suspect your uncle is misusing his powers, you'll need to gather evidence showing he's not acting in the principal's best interest or overstepping his granted authority. Financial documents showing transactions your uncle made and statements from other people with knowledge of his activities, such as family friends, may help you prove your case. If you can't see the original power of attorney, try to find a copy so you know what powers he received. The principal or another trusted relative or friend may have the power of attorney or a copy. A business or financial institution where your uncle used his authority may have a copy of it on file. The avenues available for stopping power of attorney abuse vary by state and the age of the principal. Power of attorney abuse may be a civil matter, but some states have criminal elder abuse laws that may apply if the principal is a senior citizen. For example, financial fraud involving a victim over the age of 64 is a criminal offense in California. You may speak to an elder law or civil attorney or contact your state's senior citizen help agency for assistance. Shouse Law Group: What is Financial Elder Abuse or Senior Fraud? Depending on state laws, powers of attorney can give an agent broad powers over someone’s finances and property. With a power of attorney, the person who gives the power – called a principal – can customize the power he gives his agent. Both limited and general powers of attorney give an agent authority to sell the principal’s home. 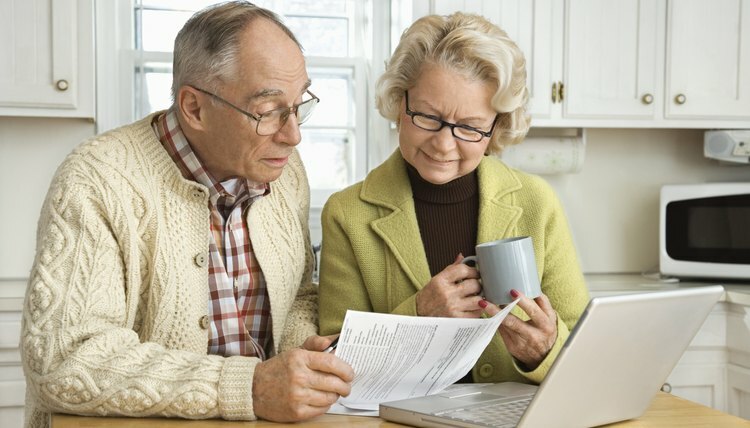 Can a Power of Attorney Accept Checks? Powers of attorney are popular devices people use to ensure their personal matters are taken care of in their absence. Financial managers, accountants and other types of agents may be granted power of attorney. Whether an agent with power of attorney can accept a check on his principal’s behalf depends on the type of check and how much authority the principal granted him. What Is Financial Power of Attorney Abuse?